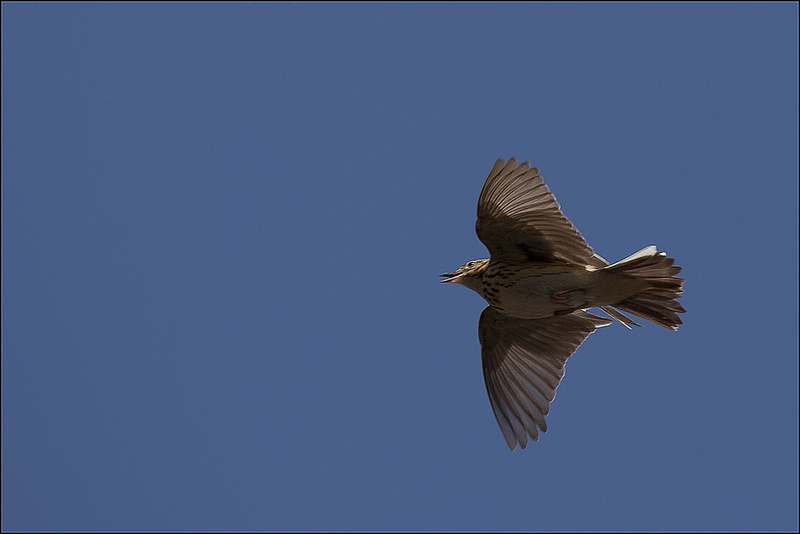 The Tree Pipit is a true summer visitor, with the first birds returning from sub-Saharan Africa in late March and the bulk of passage taking place from mid-April to mid-May. Here in the Forest of Dean is a really good place to see them, particularly shortly after their arrival when they perform their displays in order to attract a mate. From a low perch on the ground, or from the top of a tree, they will rise up and up, before spreading their wings and parachuting slowly back down, calling all the way back down. Tree Pipits are characteristically birds of heathland, forest clearings and young forestry plantations, with scattered trees and bushes usually a prerequisite.